Different mechanical arrangements of lab chiller compression systems include: reciprocating, rotary-screw, centrifugal and absorption chillers. Reciprocating, rotary-screw and centrifugal chillers are mechanical machines that can be powered by electric motors, steam or gas turbines. Reciprocating lab chillers have motors that are usually completely enclosed within the refrigerant circuit. They have several (6 to 8) small pistons that noisily reciprocate. Rotary-screw chillers are usually totally enclosed. Centrifugal chillers are usually large, with centrifugal fans to compress the refrigerant gas. Though usually fine within the range of normal usage, this type of lab chiller is susceptible to surging, if the system is not matched properly. Sudden changes in heat load or speed aggravate this possibility. However, it should be noted that many manufacturers design the chiller to be prepared to deal with such changes. 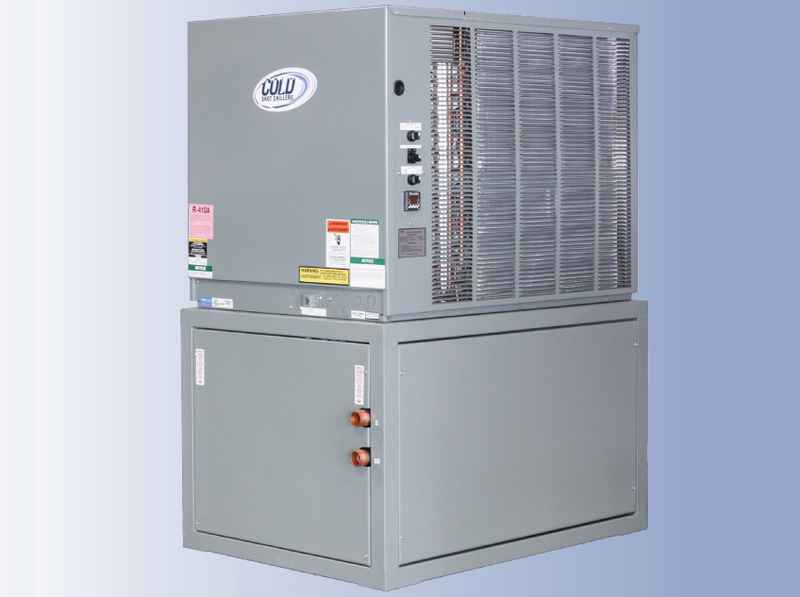 Absorption chillers are powered by a heat source, such as steam or hot water. Their main advantage is cost-efficiency and energy conservation, as they require very little electricity. Between the solution pump and the refrigerant pump, absorption chillers very rarely climb above 15 kW combined consumption. 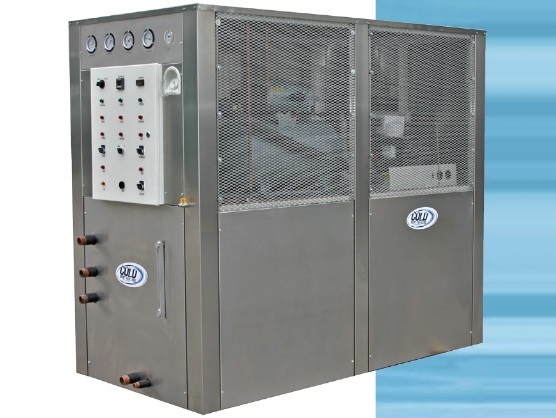 Other chiller categories include portable, air-cooled and water cooled. Chillers can also be both water and air cooled. Lab chillers have many cooling applications. Such applications include analytical instrumentation, lasers, and equipment cooling, and water-cooled optics. Lab chillers cool equipment like MRI machines, linear accelerators, biograph systems, CT scanners, radiation therapy machines and blood cooling systems. Lab chillers can be customized for convenience and accuracy, with optional features like auto-tuning, external pressure and flow adjustment, touch screen controls, remote signals for temperature, level and flow control and corrosion-free wetted surfaces. When ordering a lab chiller, specifications to consider include: cooling capacity, stability needs, temperature range, pump pressure, reservoir volume, dimensions, power requirements and weight. The list of lab chiller types, accessories and capabilities is long, ensuring that all prospective customers needs can and will be met. Lab Chillers Chillers are machines that remove heat from a liquid through either a vapor compression or absorption refrigeration cycle. This liquid heat is then circulated through a heat exchanger, allowing the liquid to cool equipment or another process stream, like air or process water. A lab chiller is a specific type of chiller used in laboratories to keep systems and sensitive matter cool. There are various types of lab chillers, as there are many laboratory applications for which chillers are required.